It feels like it’s been a long time since an SNL character made enough of an impact to warrant a spin-off of some kind, but it’s also been a long time since SNL had a character like David S. Pumpkins. 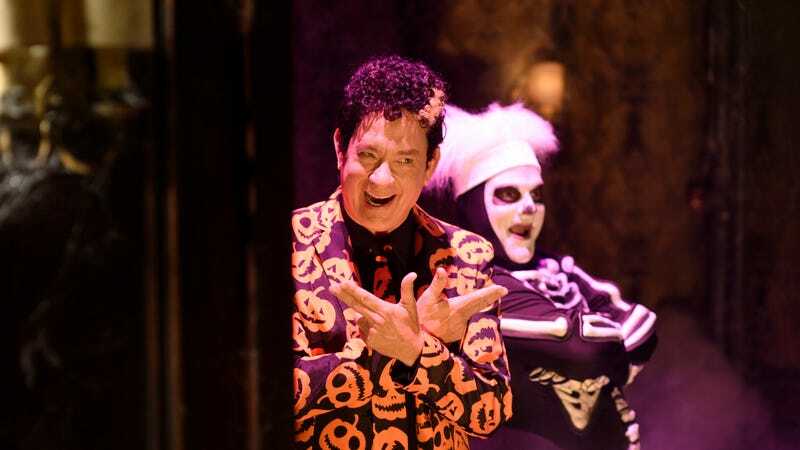 Played by Tom Hanks and first introduced in a Halloween sketch last year, David S. Pumpkins was some kind of man in a pumpkin suit with a couple of b-boy skeletons, and though nothing about him made any sense, he instantly became the biggest character in all of pop culture—and that might actually be underselling it a bit. Never one to just leave a good thing alone, SNL has now announced that it’s giving David S. Pumpkins his own animated Halloween special that will air on Saturday, October 28. Hanks recently teased the return of David S. Pumpkins, showing a script page for some kind of David S. Pumpkins song. It seemed a little involved for SNL, which the musical moment will probably happen in this animated special.